Big Results in Small Packages: Is Compact Construction Equipment the Right Choice for You? Current:BIG RESULTS IN SMALL PACKAGES: IS COMPACT CONSTRUCTION EQUIPMENT THE RIGHT CHOICE FOR YOU? When Is Compact Construction Machinery The Better Choice? Compact John Deere excavators offer many advantages, including the need for smaller trucks and trailers for transporting the machinery, reduced driver certifications due to the relative lower weight of the equipment, and of course, lower overall cost of the compact machinery at time of sale and during its lifetime. Compact track loaders also offer on-the-job benefits such as a lower risk of over-compaction of asphalt. Over-compaction occurs when an oversized compactor is used on the asphalt, causing the asphalt drum to overlap, compacting the asphalt, and resulting in erosion. A second, and incredibly useful, benefit of compact equipment is the smaller size of the machine puts the operator closer to the work, creating improved sight lines and overall work quality. 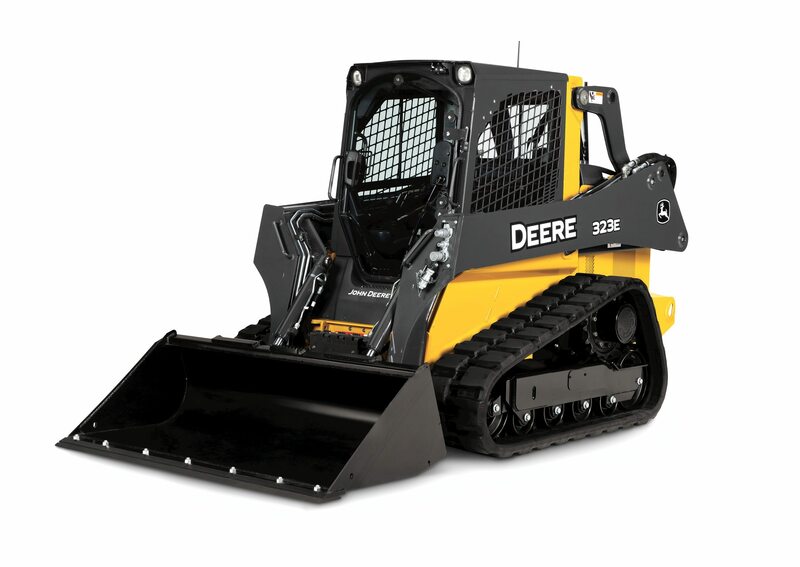 How Does Compact Construction Machinery Compare To Larger Equipment? Let’s compare two John Deere excavators currently for sale on our site. The compact option is the John Deere Excavator 26G and the full size is the John Deere Excavator 130G. Both excavators have emission-certified engines and powerful capabilities. The 26G offers a wide entryway for easier entrance/exit, standard auxiliary hydraulics, and improved access to side-by-side cooler cores. This compact excavator offers an impressive 20 hp @ 2,500 rpm; an operating weight of 6,000 pounds, a max digging depth of 8.5 feet, and a max digging reach of 15 feet. The 130G by comparison has a Powerwise™ III management system, optional backfill blade, and Power Boost. It has a Net Power of 97 hp @ 2,000 rpm; an operating weight of nearly 30,000 pounds, a max digging depth of just under 20 feet, and a max arm force of 15,000 pounds. Both machines are agile. tenacious, and offer the ability to get the job done in comfort and efficiency. Read the specifics of the skid steers, excavators or wheel loaders you’re interested in on our site and use our newly expanded interactive “compare” feature to analyze multiple machines and determine which is best for your needs. Trust Papé to keep you moving both in the forest and on construction sites. For more tips and news, connect with us on Facebook or LinkedIn.